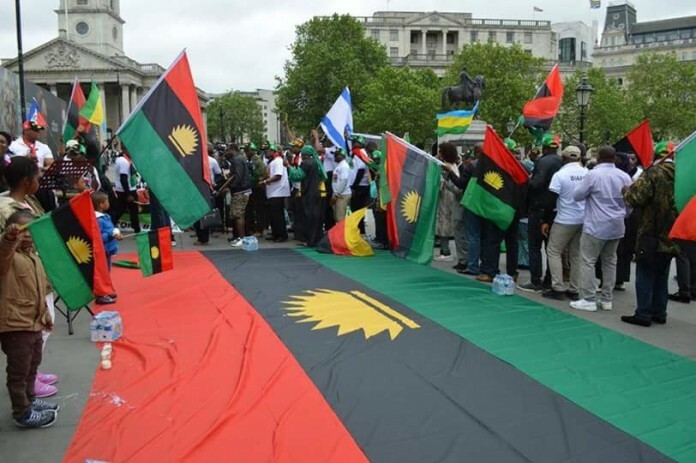 The Movement for the Actualisation of the Sovereign State Of Biafra (MASSOB) has said it will build a memorial cenotaph in honour of the late son of the late Ikemba Nnewi, Chukwuemeka Odumegwu Ojukwu, Debe Ojukwu, who died last week Friday. While commiserating with the family of the late Biafra warlord, Samuel said it was painful and regrettable that he joined his ancestors at a time the people of Biafra needed him most. “MASSOB, Ndigbo and Biafrans in general have lost a great fighter, a warrior and motivator, who believed in justice and equity. Though MASSOB and Biafrans will miss him, we must continue in the footsteps of his late father, Dim Chukwuemeka Odumegwu Ojukwu, who sacrificed all he had for Biafra,” he said. Meanwhile, former chairman of National Human Rights Commission, Prof. Chidi Odinkalu, yesterday said even in death, the former Biafran warlord, remains the subject of passionate adoration in Nigeria. Odinkalu, who is also the senior manager, Africa Programme, Open Society Justice Initiative, spoke as a guest lecturer at the Chief Ben Nwazojie (SAN), Law Auditorium, Chukwuemeka Odumegwu Ojukwu University, Igbariam, Anambra State, during the maiden edition of the Dim Chukwuemeka Odumegwu Ojukwu Annual Memorial Lecture. He said the enthronement of a new, better and prosperous Nigeria may not be achieved without recourse to the dynamics represented by the late Ojukwu. He said more than seven years after Ojukwu’s death in 2011, he remains the subject of passionate adoration and equally committed disagreement around which considerable memory remains to be recovered. The guest lecturer, who highlighted Nigeria’s historical perspective, lamented that while many people knew the name Ojukwu as being synonymous with the civil war, very few knew his other sides that laid the foundation for a united Nigeria, which is why he advocated the need for sustenance of the lecture series to drum home his good legacies.